Wouldn’t you like to bring relief to your elderly arthritic dogs and cats without medication? With TheraPet™ now you can. TheraPet™ treatments may also reduce your pet’s risk of bacterial and viral infection after surgery while reducing your animal’s recovery time. Infrared therapy is not new to the veterinarian field. In fact, it has been used in the equine market for more than 20 years. In the early stages of light emitting diode (LED) technology, infrared light was often used to treat performance racehorses for a variety of injuries ranging from abrasions to strained muscles and tendons. The use of infrared treatment has saved a number of animals from being put down due to injury and non-healing wounds. 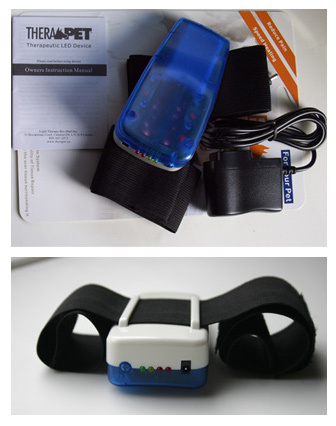 Over the years the application of infrared therapy has not drifted far. The applications and known benefits have simply increased, as well as the technology has vastly improved. 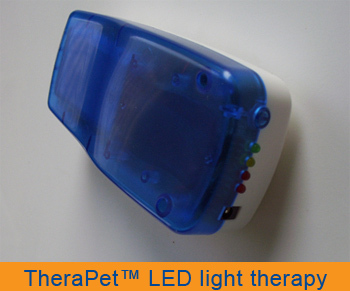 TheraPet™ utilizes highly rated IR LEDs and an advanced patented configuration to bring you the most effective non-invasive treatment available for your animal.